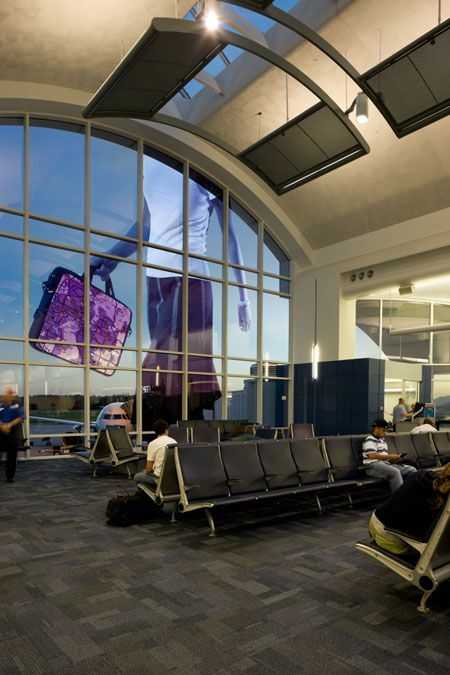 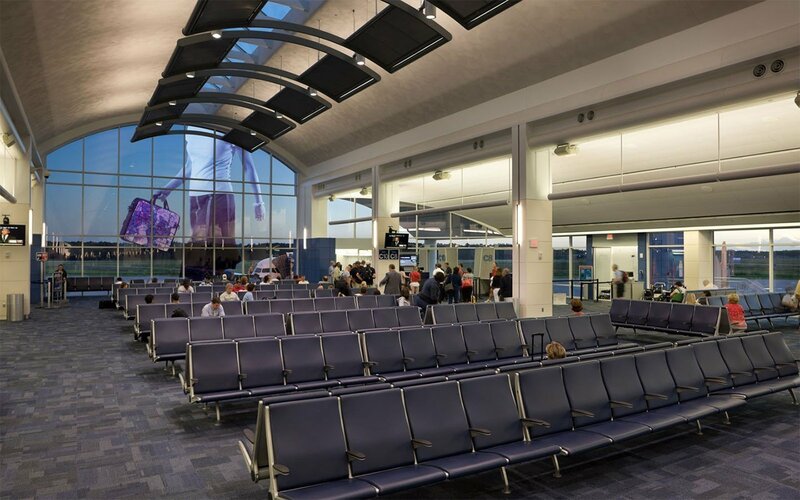 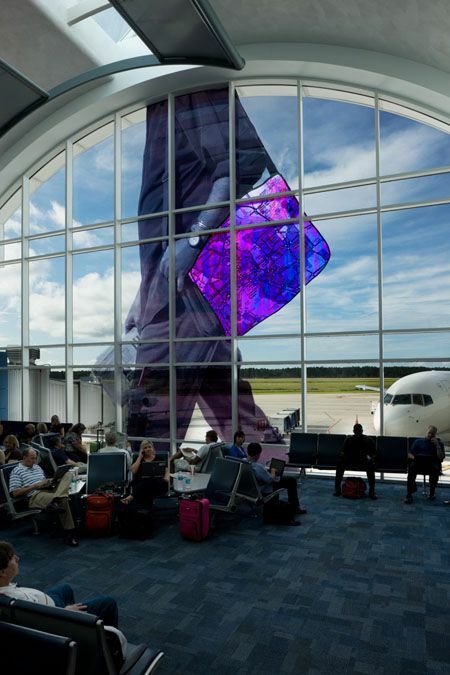 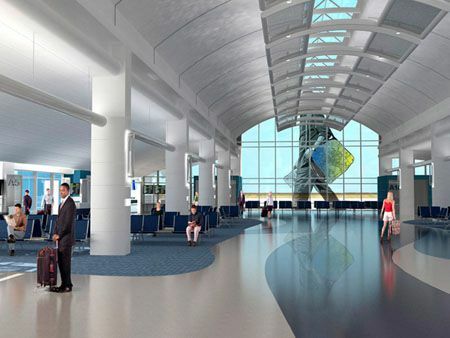 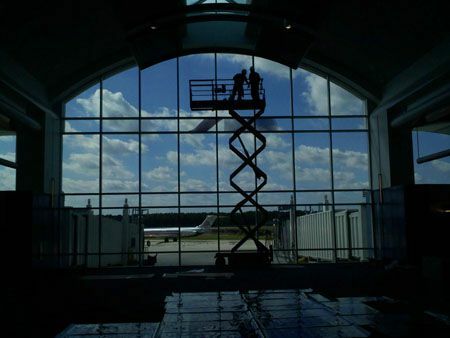 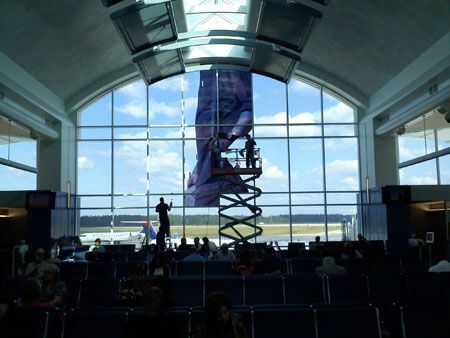 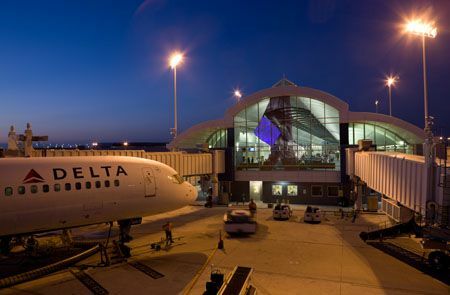 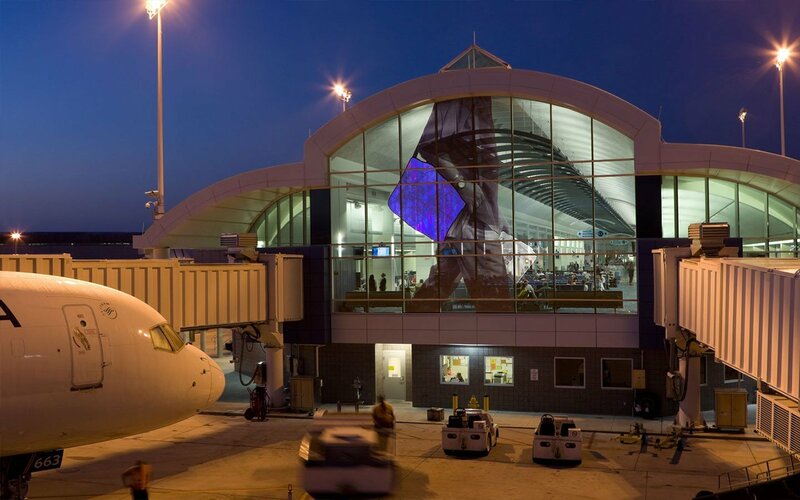 In addressing the large arched windows at either end of the concourse, Huether responded by creating the illusion of a male traveler on one end of the concourse and a female traveler on the other end, both walking across the tarmac. 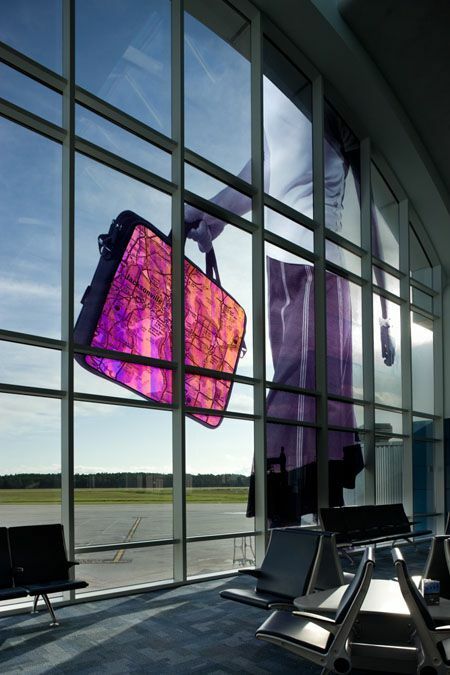 The figures are rendered in High Definition Thermal Encapsulated film, an eco-friendly alternative to traditional chemical printing. 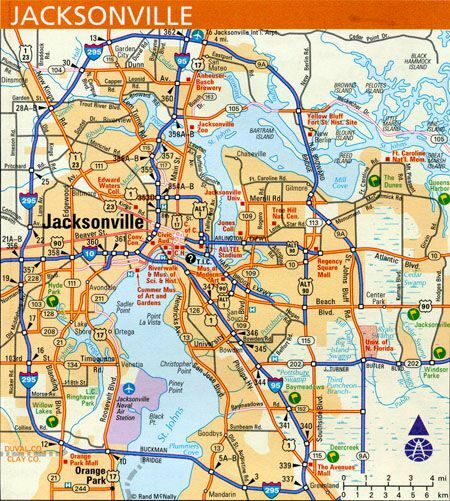 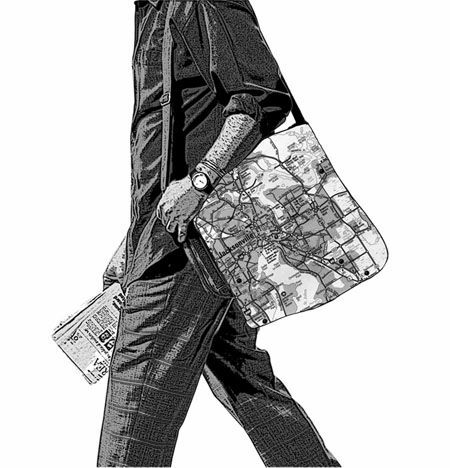 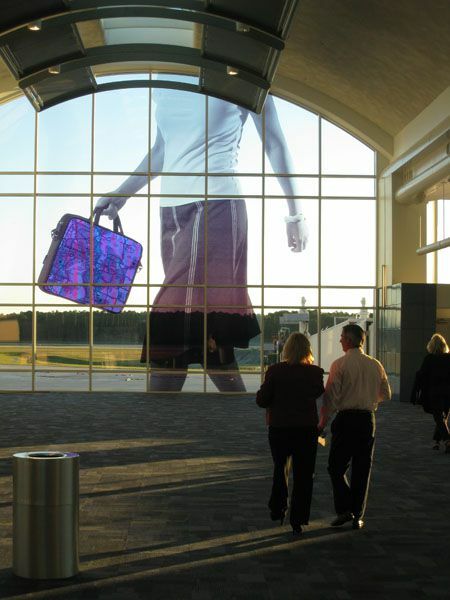 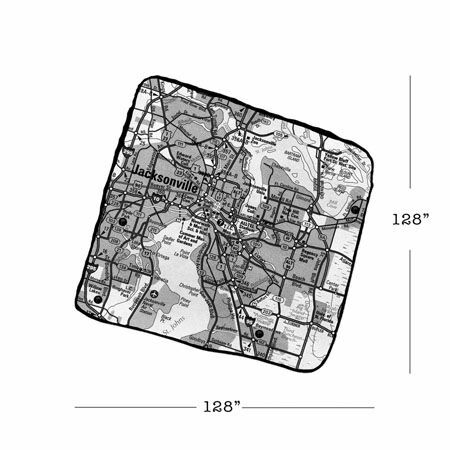 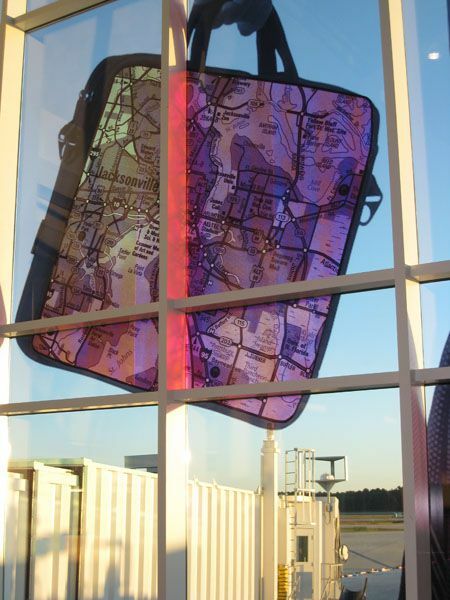 Each larger than life traveler carries a travel bag that has a map of the immediate Jacksonville area on the bag. 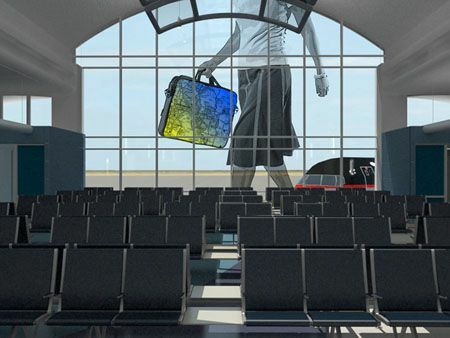 This area has an intense color zone of dichroic coating. 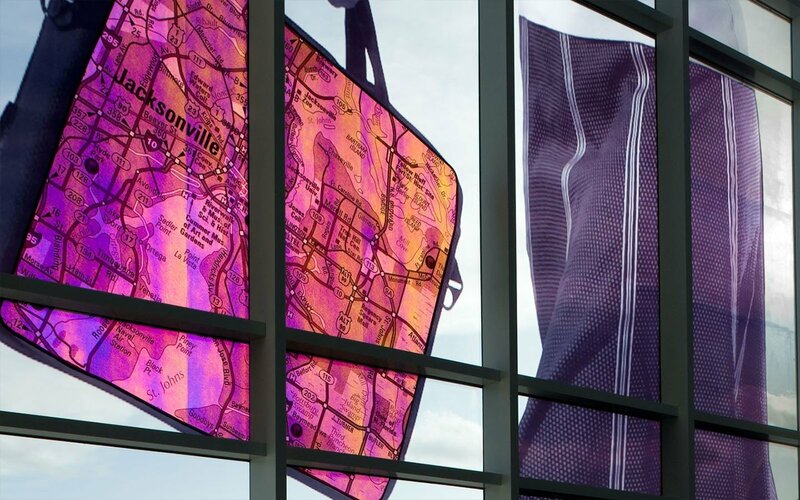 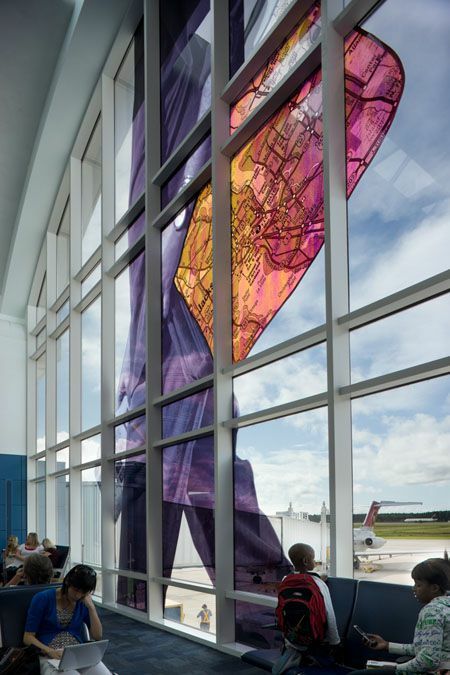 The dichroic coating fluctuates in color from magenta to blue to gold, depending on the time of day and angle of viewing, making the Jacksonville map passively kinetic.